Good wind and close competition produced a strong 2014 Birthday Regatta & Leukemia Cup. On Saturday, boats were starting, finishing, and X-coursing continually, scoring as many as 6 races in a single day for a single fleet. Some of the fleets finished the two-day event with 8 or more races, while the Vipers got in 12 in three days. Not only were there a lot of races, but they were competitive as well, with two fleets needing tie-breakers to determine a winner, PHRF Spin (Lehman/Quant squeaking past Johnson/Bennett) and Wrinkle Boat (Stan Susman besting Gary Overbeck). The other fleet winners were: Matt Davis, Buccaneer; Bob Worrall, C22; Brett Johnston, Multi-Hull; Victor Felice, PHRF Non-Spin; Martin Lorch, Santana 20; Mark Folkman, Viper 640. Here are some excellent pictures from the event taken by Peter Howson. Dennis Lynde won the new “TransLoch” fleet race Saturday, heading a list of a dozen who came to play in this fun fleet (winning extra handicap with such things as cooking on the barbecue during the race). One nasty event: the collision of Chuck Sears’ Monsoon and Dave Spira’s Bucc on Saturday, producing damage, but no injuries. The weekend continues to be a good fundraiser for the Leukemia & Lymphoma Society, with lots of help from Tony Chapman. Tony estimates that the event brought in more than $20,000 for LLS, aided by 48 boats entering the Leukemia Cup. Meredith Townsend from Sailing World visited and sailed all weekend. Emory’s friend Peter Howson from San Diego was the photographer and we’ll have lots of pictures soon. 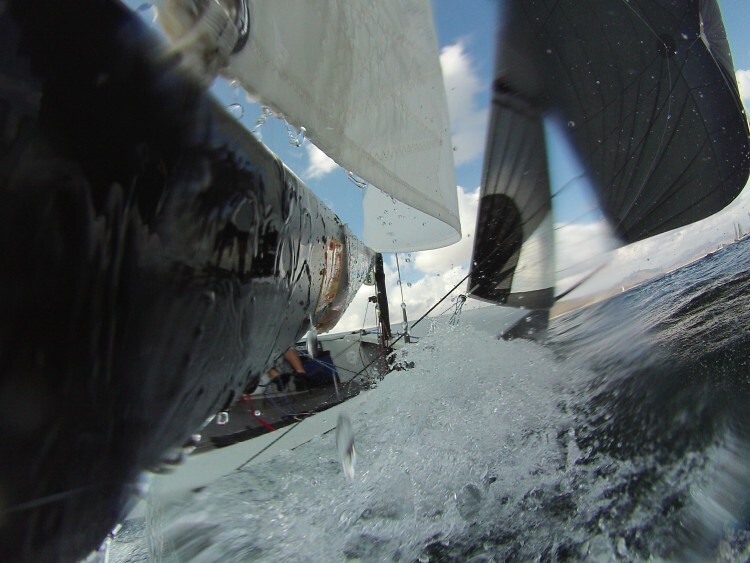 We had 84 boats registered, 78 boats raced and 77 races were run over the 3 day event.